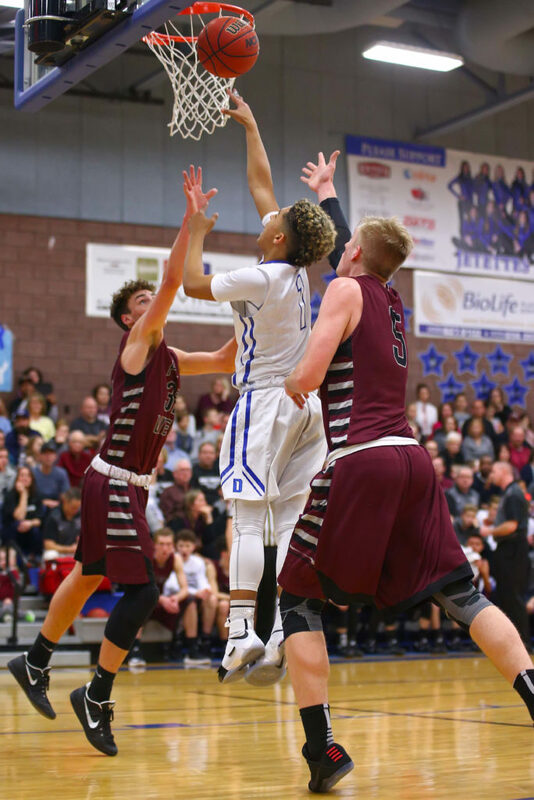 ST. GEORGE – Dixie used a huge fourth quarter to seize the game – and first place in Region 9 – Friday night against Pine View. Meanwhile, Desert Hills stayed just a game behind with a huge win at home against Snow Canyon, and Hurricane showed some life in a monster road win at Cedar. The number is 358 and the date is Jan. 27, 2016. It’s been 358 days since the Flyers last lost a basketball game, a two-point defeat at Cedar in region play last season. Dixie finished that year with nine straight wins and has now won 17 in-a-row so far this season. But this latest victory didn’t come easy for the Flyers. 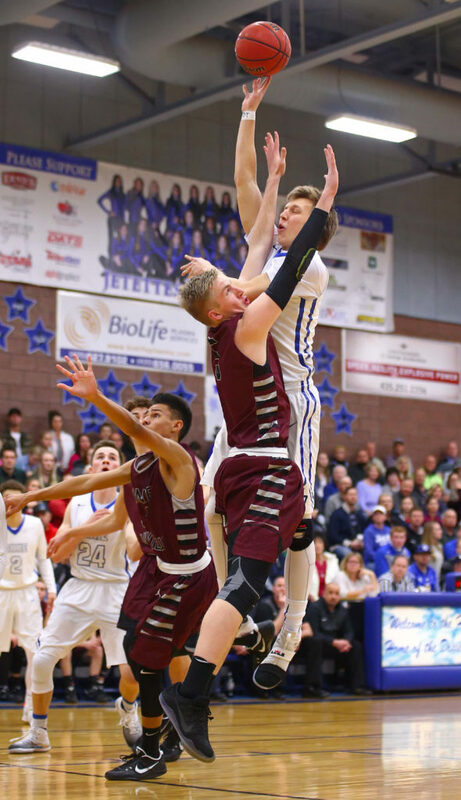 Dixie only scored two points in the first seven minutes of the third quarter against the Panthers and watched helplessly as Pine View turned a 31-26 Dixie lead into a 38-33 PV advantage. 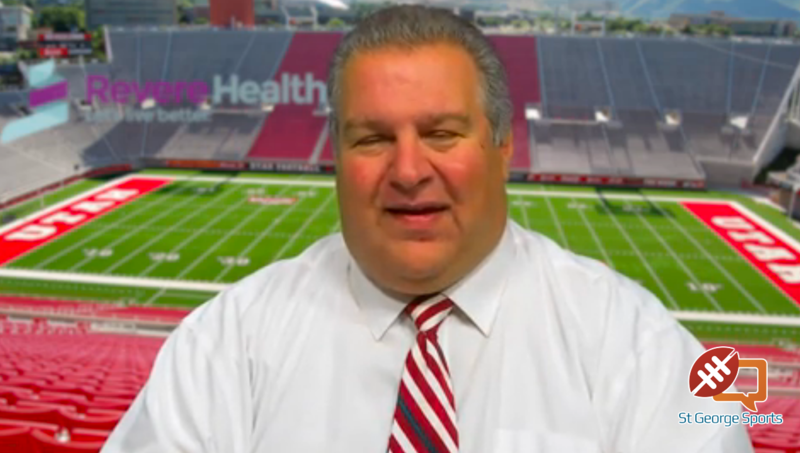 But the last minute of the third quarter turned out to be the most important minute of the game. Camden Flinders hit a baseline 3-pointer for the Flyers to cut it to a 38-36 game. 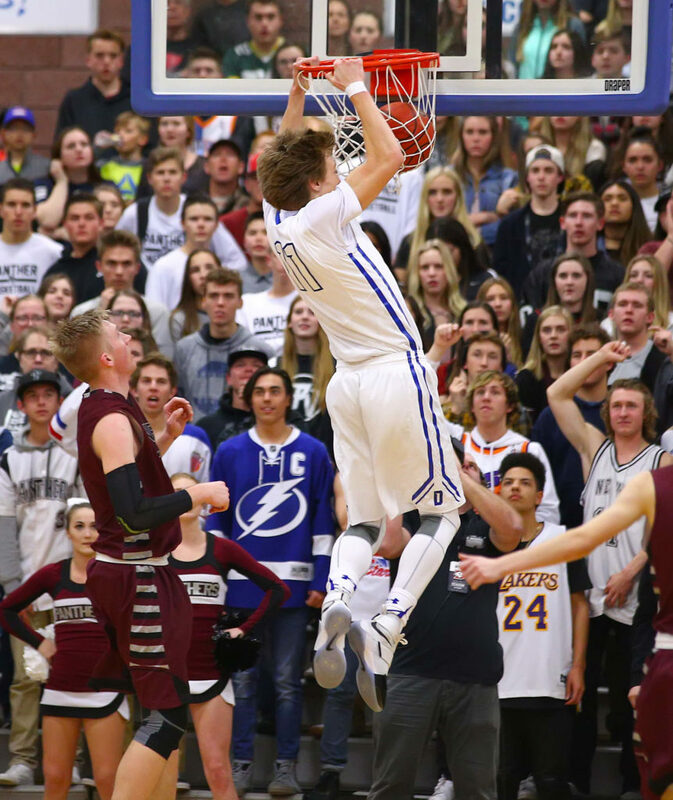 After a miss by Pine View and a turnover by Dixie, the Panthers played for a last shot. But a turnover gave Dixie the ball back with 2.2 seconds to go. Dixie inbounded the ball to Flinders, who kicked it ahead to Kannen Dye. 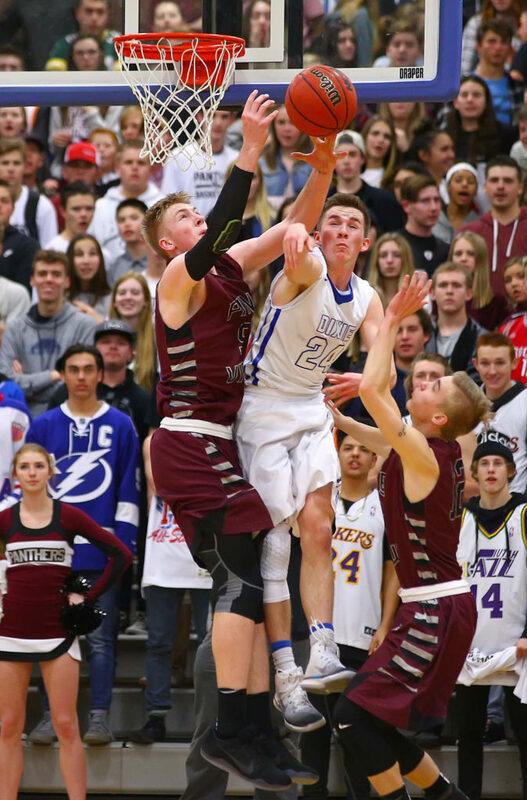 The senior guard, without hesitation, pulled up from 35 feet and swished the buzzer-beating 3-pointer. The shot gave Dixie a 39-38 lead and all the momentum heading into the fourth quarter. Dye said he had actually been practicing the shot, near half-court, in pregame. Riding the wave, the Flyers owned the fourth quarter. Elzy hit a couple of 3-pointers right off the bat to prompt a timeout by the Panthers with the score 45-38. After a Guymon basket, Flinders scored again and the run was complete with Dixie having scored 16 straight points. 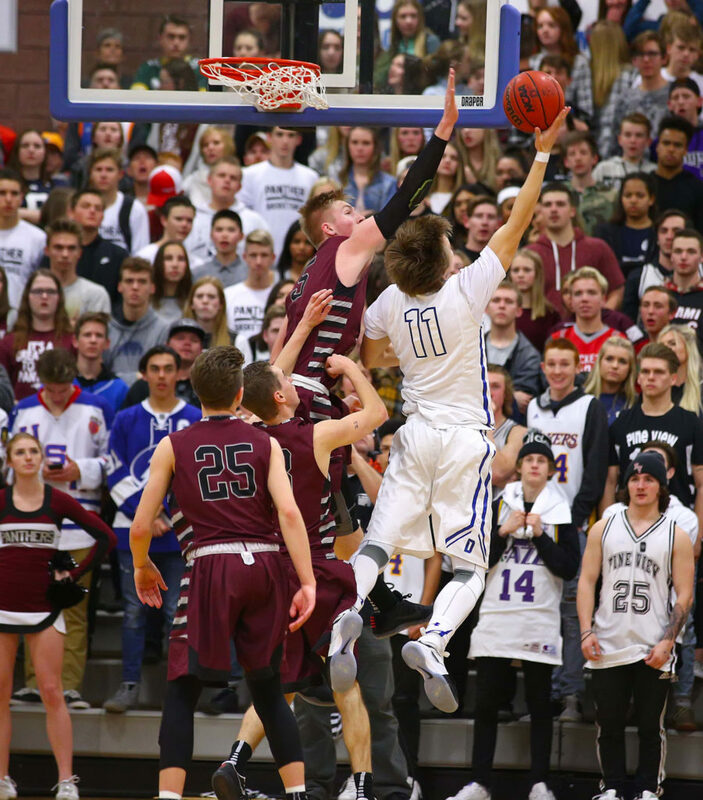 Pine View was able to close to within six a couple of times in the last minute of the game (at 53-47 and 55-49), but could never get closer. The 17-0 start is one of the best in school history for Dixie. Dye said it’s important to keep things in perspective. 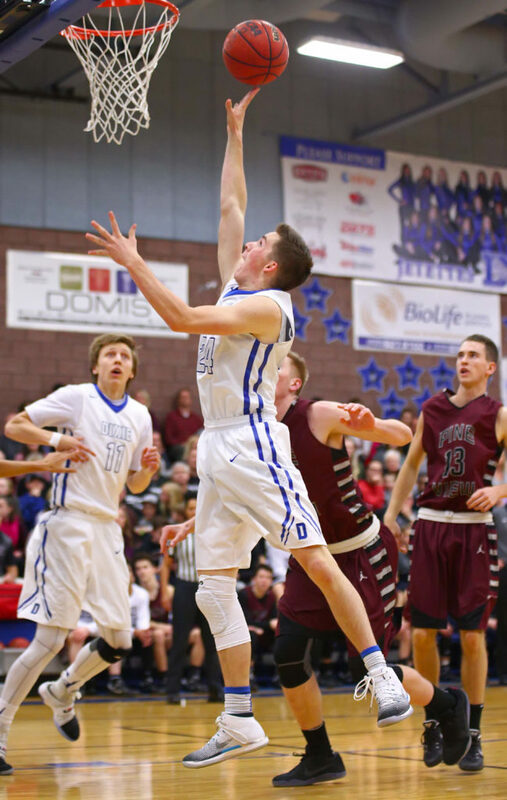 Elzy led Dixie with 18 points, while Flinders and Sam Stewart had 10 points each. Twelve of Elzy’s 18 points came in the fourth quarter. The Flyers made 7 of 16 3-pointers (44 percent) and were 21 of 40 overall in the game (52 percent). 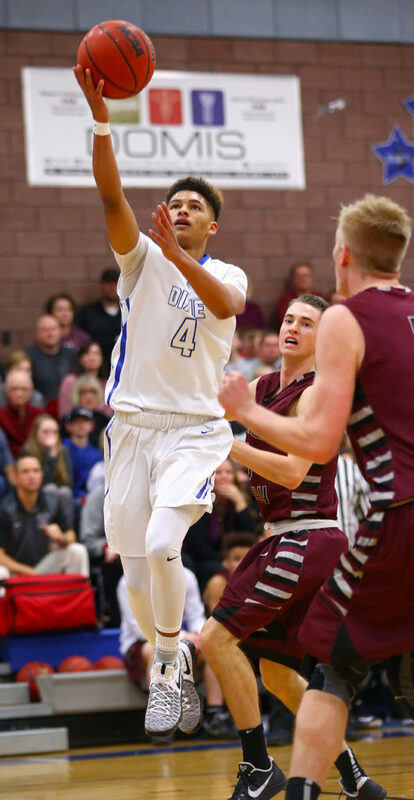 Dixie, 17-0 and 4-0, finishes the first half of region play with a home game Wednesday against Cedar. 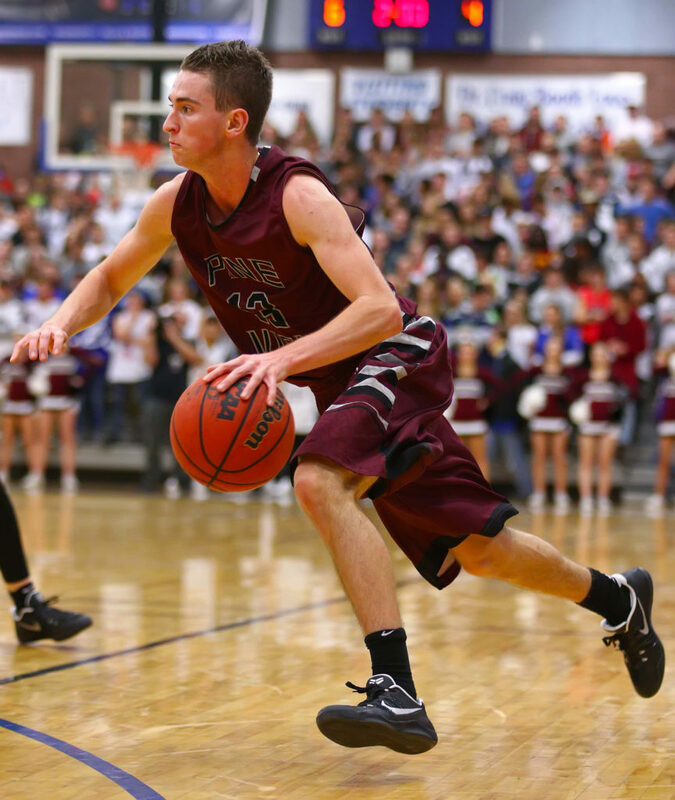 Pine View, 13-3 and 3-1, got 14 points each from Dylan Hendrickson and Trey Farrer. The Panthers had 19 turnovers in the game to Dixie’s 14. Tayler Tobler had eight points off the bench. 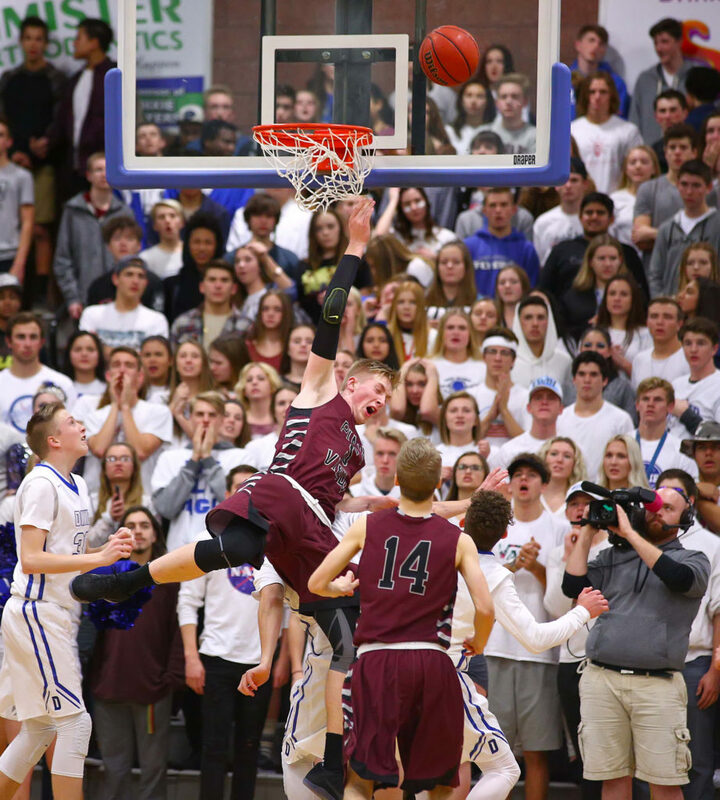 Pine View plays at home against Desert Hills Wednesday night. It was a blistering night for the Thunder, who made 12 3-pointers and turned a relatively close game into a big-time blowout with a huge third quarter. The big Achilles heel for Snow Canyon this season has been turnovers and Friday night’s game was no different. The Warriors had 27 turnovers and forced just six. 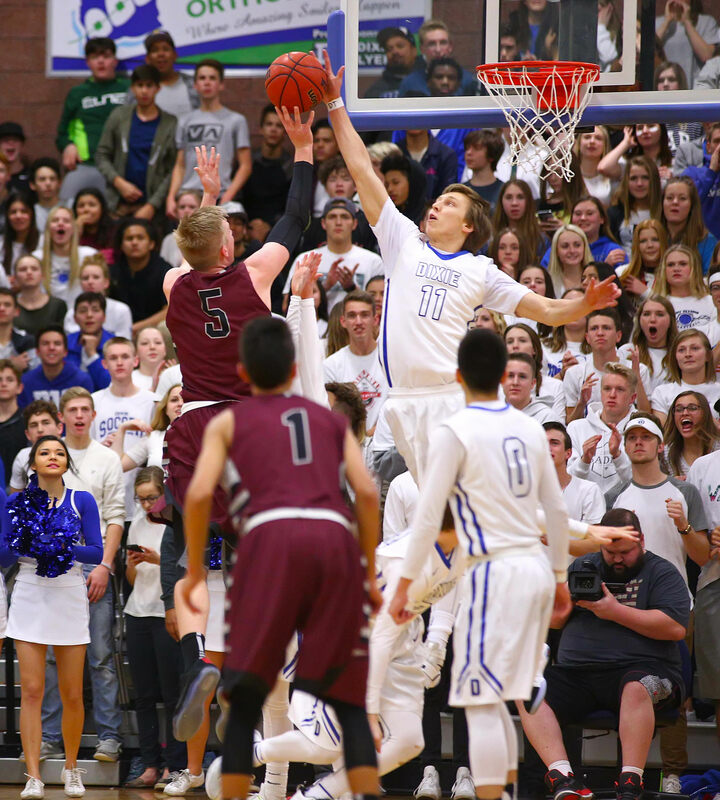 Snow Canyon was in the game at 29-19 at halftime before the huge Desert Hills outburst in the third. Braden Baker (12 points, five rebounds) helped keep it close. 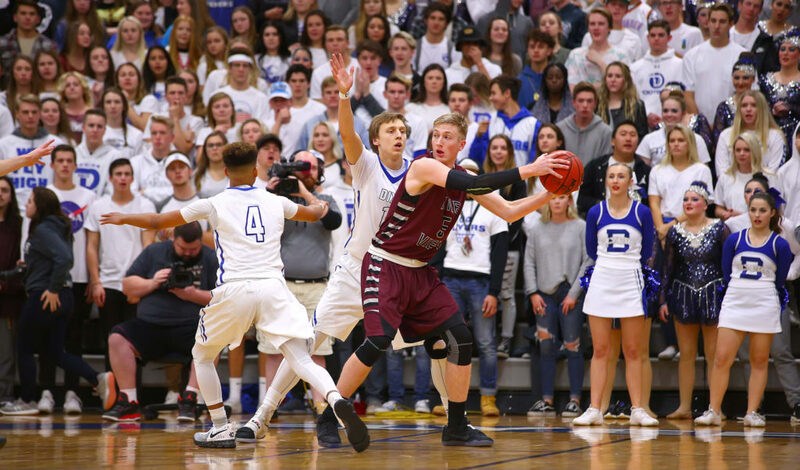 But Logan Hokanson made six 3-pointers (on just 10 attempts) and Cam Clayton and Braxton Porter hit two each to put distance between the two teams. 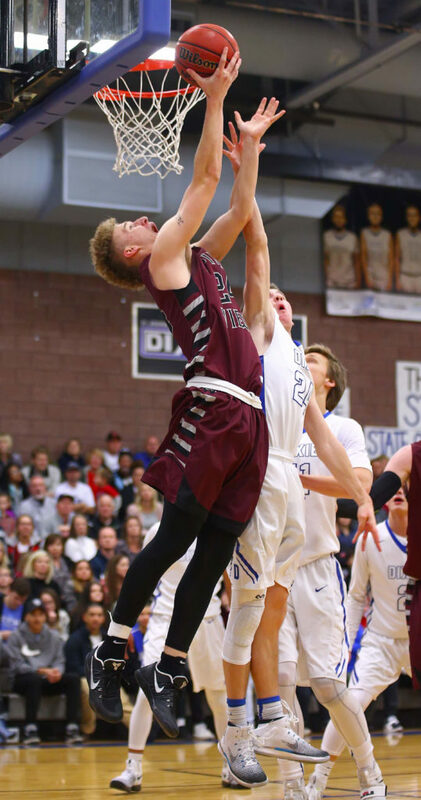 Tanner Turley had 12 points and seven rebounds for Desert Hills, which improved to 13-4 overall and 3-1 in region play. Twelve different DH players scored in the game. 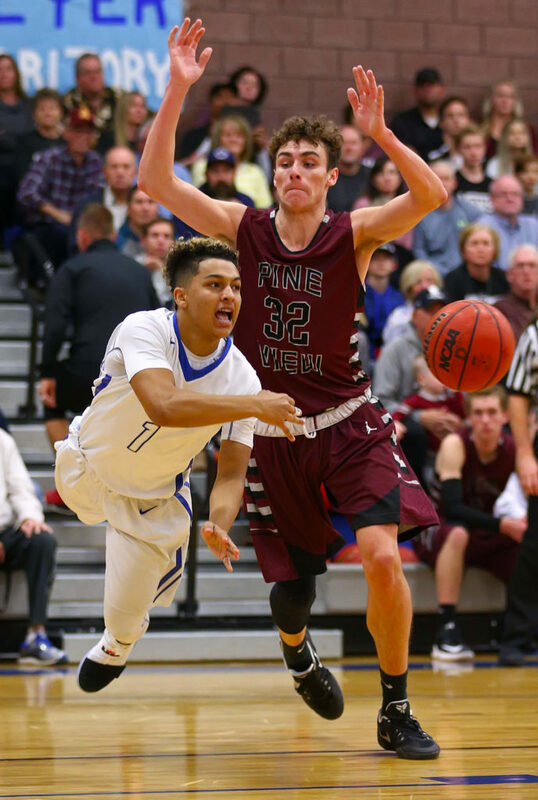 The Thunder finish the first half of region play with a big game at Pine View on Wednesday. Snow Canyon, which has lost four straight, is 6-9 overall and 0-4 in region. The Warriors host Hurricane Wednesday night. 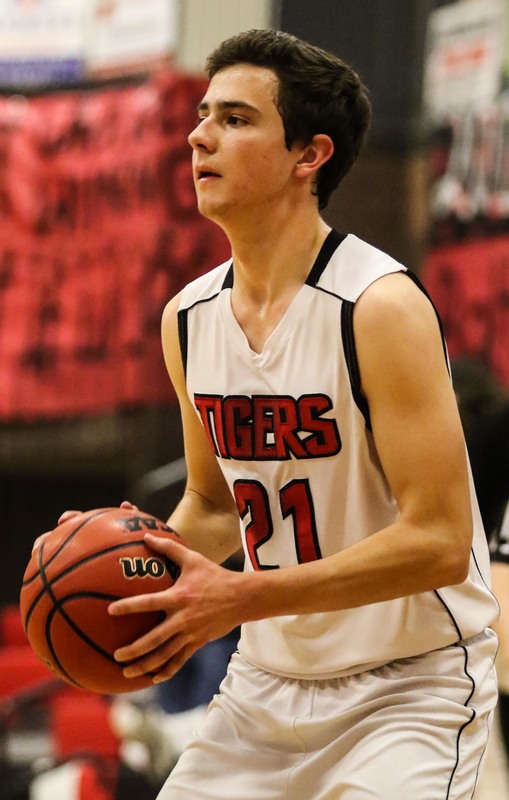 At Cedar, the Tigers captured their first region win with a blowout over the Redmen. Anyone see that coming? Josh Parker made many of those, hitting six 3-pointers and going off for 25 points. Jackson Last had 17 points and eight assists and Graden Cahoon chipped in eight points. Last was responsible for slowing down Cedar star Keenan Nielson and did yeoman-like work. Nielson averages 19 points a game, but was held to a season-low 12 points. Parker hit a 3-pointer just before the buzzer to stake the Tigers to a 12-5 lead after one quarter, but the lead quickly ballooned to to 22-5 as part of a 13-0 Hurricane run. Last and Parker each hit a 3-pointer in the run and Reagan Marshall scored twice as it was 31-16 at halftime. Cahoon opened the second half with two straight scores and the rout was on. The Redmen would get no closer than 16 the rest of the game. Hurricane owned the boards, using a 28-12 advantage in that area, including 11 on the offensive end. The Tigers made 21 of 43 shots (49 percent) and hit 8 of 17 3-pointers (47 percent). 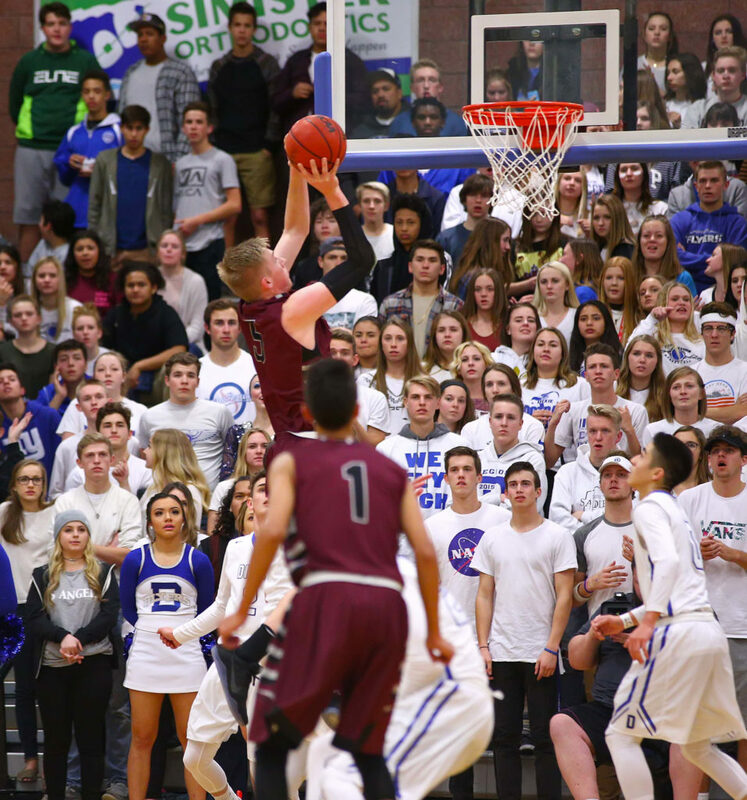 Hurricane is 11-7 overall and 1-3 in region with a road game at Snow Canyon next Wednesday. Cedar, 9-8 and 1-3, got 10 points from Parker Haynie to compliment Nielson’s 12. But no other Redmen scored more than five points. Forward Mason Fakahua did not play due to injury. 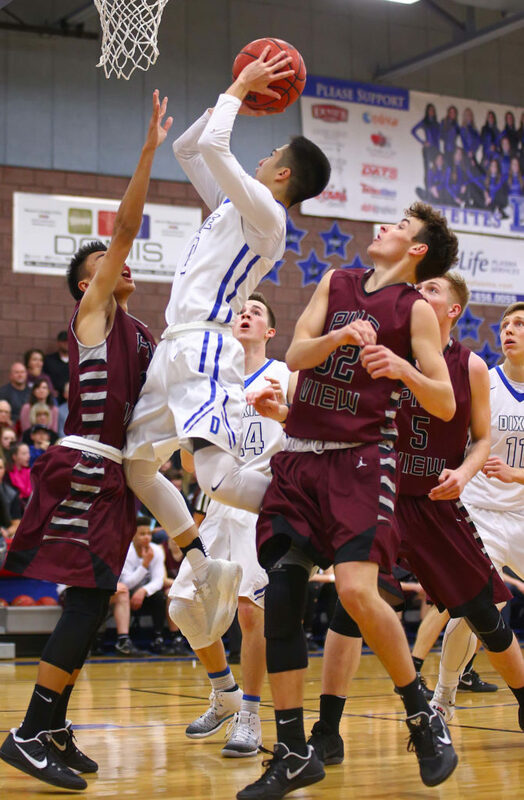 Cedar plays at Dixie Wednesday night.